Last week the National Highway Traffic Safety Administration issued voluntary guidelines to auto manufacturers, saying they should limit the time that drivers take their eyes off the road to perform any task to two seconds at a time and twelve seconds total. The guidelines also recommend limiting the ability to text, browse the Web, watch video or view social media unless the car is in park. At the NTSB, our investigations have long highlighted the danger and deadliness of driver distraction. So I commend NHTSA for bringing additional attention to the issue. Now, it is up to the auto manufacturers to get behind these voluntary guidelines. After completing an investigation of an Aug. 5, 2010, highway crash in Gray Summit, Mo, where a pickup driver, who had been texting, plowed into the back of a tractor trailer and set off a series of collisions that killed two people, the NTSB issued its strongest recommendation yet to end driver distractions from portable electronic devices (PEDs). The NTSB has called on the 50 states and the District of Columbia to ban the nonemergency use of PEDs (other than those designed to support the driving task) for all drivers. This year, eliminating distraction in transportation is one of the ten issues on the NTSB’s Most Wanted List of transportation safety improvements. Distraction is complicated and we are still learning what the human brain can and cannot handle. And important research continues to come to light; last week, a new study found that voice-to-text systems offer no real safety advantage over manual texting. There is one startlingly simple safety solution that cuts through the entire debate: Just drive. No text, no call, no post is worth a human life. Last year, the NTSB completed its study on the safety of experimental amateur-built aircraft, or E-AB, which include aircraft built or assembled by hobbyists or amateur builders. We conducted this study because the E-AB accident rate has consistently been higher than certificated GA aircraft operated in similar conditions. We wanted to better understand accident causes and see if we could identify ways to reduce the number of accidents. Our analysis found that the largest proportion of fatal E-AB accidents involved loss of control in flight. We concluded that improving pilots’ access to training prior to flying an E-AB aircraft could reduce the number of accidents. However, to do this, pilots need two things: a qualified instructor and an E-AB aircraft in which the training can be conducted. Training must be conducted in similar aircraft otherwise it will not help the pilot learn about the aircraft’s unique characteristics. FAA regulations require an instructor who wishes to conduct flight training in his/her E-AB to obtain a Letter of Deviation Authority (LODA). So, interested pilots need to find the right aircraft, a qualified instructor, and that instructor needs to have obtained a LODA. That led to NTSB recommending that the Experimental Aircraft Association, or EAA, create and publish information voluntarily collected from people who already have a LODA to conduct flight instruction in experimental aircraft. This way, a hobbyist or amateur-builder who is ready to begin flying their newly finished E-AB could easily find someone to provide training. I’m pleased to report that the EAA published a list of instructors holding LODAs and widely publicized the list. In addition, EAA is also taking further steps to improve the availability of instruction and flight test talent to the E-AB builder by working with the FAA to develop standards and procedures that will allow an instructor to not only conduct training in the instructor’s aircraft, but to also potentially accompany the builder/pilot in the builder/pilot’s new aircraft during required flight testing. The NTSB recently classified this as “exceeds recommended action” since the EAA went beyond the NTSB’s recommendation. In short, EAA did more than create the list (what we recommended), it made extensive efforts to inform the E-AB pilot community of the list and to extend the training to a builder/owner’s own new aircraft. Great job, EAA, exceeding expectations and taking specific steps to improve safety. Are We Safer Today on America’s Roads? Every 48 minutes in this country a person dies in a motor vehicle crash involving an alcohol impaired driver. That’s 30 deaths a day – lives ended, families torn, loved ones devastated. And as if the human toll were not enough, the annual cost to America’s economy from alcohol-related crashes totals more than $51 billion. And one of the greatest tragedies is how unnecessary and preventable this is. April is Alcohol Awareness Month, held annually for the past 27 years to increase public awareness and understanding of the dangers of alcohol-related problems. This is one of the most critical issues in transportation safety. Far more people die on the nation’s highways than in any other mode of transportation and 30 percent of those deaths are caused by a driver under the influence of alcohol. For more than 40 years, the NTSB along with policymakers, law enforcement, safety activists, and the public has struggled with how to stop alcohol-impaired driving. The agency has placed this issue on its Most Wanted List, conducted special safety studies, and produced dozens of accident reports generating over 100 related safety recommendations. But until just four months ago, the Board had not made any new recommendations in this area for over a decade during a time when traffic deaths from all causes dropped, yet the percentage of those killed by a substance-impaired driver remained unchanged. The NTSB is taking new steps to address this number one killer on our roadways. It has been said that safety is not only everybody’s business, but that it is good for business. The folks at Airbus and American Airlines believe that as well. 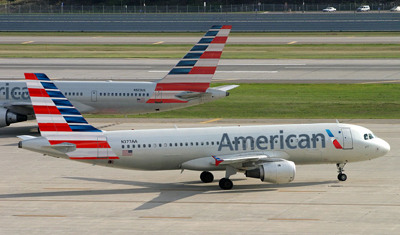 American has voluntarily decided to equip its Airbus A320 family fleet with Runway Overrun Prevention System technology, which computes minimum realistic landing distances, taking into account runway topography, weather and other conditions, aircraft weight and balance and wind and weather. The system includes audio callouts and alerts to aid the crew in evaluating whether to continue the landing or to make a decision to go around. The NTSB has long been concerned about runway overruns. We’ve investigated many accidents, such as a December 2005, accident where a Southwest Airlines Boeing 737 ran off the runway at Chicago Midway International Airport and onto an adjacent roadway, where it struck an automobile before coming to a stop. A child in the automobile was killed, 18 of the 103 airplane occupants received minor injuries and the airplane was substantially damaged. Following that investigation, we asked the FAA and the industry to focus on landing distance assessments to ensure that pilots were aware of the available stopping distance given environmental conditions and aircraft performance. Airport Surface Operations is on the NTSB’s Most Wanted List of transportation safety improvements. While commercial aviation has made extraordinary strides in improving its safety record, the NTSB continues to investigate runway overruns, wrong runway departures and collisions between aircraft and between aircraft and ground equipment. That’s why it’s so important to recognize the efforts of Airbus and the commitment of American Airlines, as they have voluntarily embraced this technology to help prevent runway overruns. Keeping the traveling public safe is everyone’s business. This week marks the 46th anniversary of the creation of the National Transportation Safety Board, which provides an opportune time to reflect on our mission, celebrate our safety successes and prepare for the challenges ahead. In the decades since its creation, NTSB staff has investigated more than 132,000 aviation accidents and thousands of surface transportation accidents. Just as our nation’s transportation system operates 24 hours a day, so also do the committed men and women of the NTSB. Our investigators are on call all day, every day, and often spend their weekends and holidays doing investigative work to determine an accident’s probable cause. While accident investigation is our most public activity, and the one most often associated with the agency, the lasting impact of our investigations comes through our efforts to prevent future accidents, which is accomplished through our safety recommendations and advocacy. Since 1967, the NTSB has issued more than 13,800 safety recommendations across all modes of transportation calling for greater regulatory oversight, voluntary adoption of safety standards, or even implementation of novel technologies. Despite their diverse subject matter, all share a single goal; if implemented, these recommendations would make – and have made – the American traveling public safer. Likewise, the NTSB’s singular role as a respected and independent voice for transportation safety has guided its advocacy efforts on behalf of the nation, whether encouraging states to adopt stringent laws against distracted driving or drawing attention to the challenges facing implementation of positive train control technology. No matter how successful our efforts on behalf of the American public, however, we are ever mindful of the dynamic nature of our national transportation system. At the time of the NTSB’s creation in 1967, for example, no one could have foreseen the incredible strides in technology. These changes drive our ever-evolving modes of transportation as well as the ways we investigate their accidents. One critical component to the agency’s mission, however, was known at the beginning: Successful investigations and safety advocacy require the most experienced and dedicated individuals within the federal government. I’m proud to say that is exactly the workforce assembled within the NTSB today and with whom I have the privilege to work. Erica Forney, from Fort Collins, Colo., should be 13-years-old now. She might be wearing braces, playing sports, gossiping with girlfriends and looking forward to and maybe also worrying about going to high school next year. None of that will happen for Erica. She was killed in November 2008. She was 9 and riding her bike home from school. A driver, looking down at her cell-phone, never saw the child in her path. Today, Erica is remembered by her family and friends, and also by the month of April, which is National Distracted Driving Awareness Month. Former Rep. Betsy Markey (D-CO) introduced a resolution designating the month and dedicated it to Erica Forney. The House of Representatives passed the resolution 410-2 on March 23, 2010. This April marks the third year for National Distracted Driving Awareness Month, which is growing in importance. A recent report by the Centers for Disease Control and Prevention found that nearly 70 percent of Americans ages 18 – 64 report talking on their phones while driving in the past 30 days. 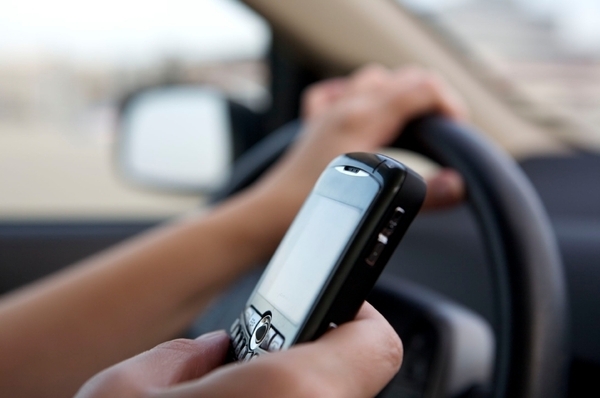 About 30 percent say they texted while driving. For years, the NTSB has seen how deadly distraction can be across all modes of transportation, but it’s on our highways where distraction claims the greatest number of lives. After investigating a crash where a pickup driver sent and received 11 texts in the 11 minutes before he ran into a truck triggering collisions that killed two and injured 38, the NTSB called for a nationwide ban on the use of personal electronic devices. This year, we put Eliminate Distraction in Transportation on our Most Wanted List. Putting attention back in the driver’s seat requires information and outreach, like Distracted Driver Awareness Month. It also requires good laws and strong enforcement. It’s at the state level where crucial traffic safety legislation is enacted, such as the seat-belt laws that have helped save hundreds of thousands of lives. As for distraction laws, ten states and the District of Columbia ban all drivers from using handheld cell phones while driving; 39 states and the District of Columbia ban text messaging for all drivers. And, here are two ways to make our roads safer and save lives: Drive safely every trip by putting away your portable electronic devices and get involved.